Need a good reason to move beyond mere consideration and build the backyard coop? Here are reasons that will motivate you. If you’re on the fence about setting up the coop and you’re looking for someone to push you over into the chicken keeping lobby, you’ve come to the right place. We’ve come up with a list of some obvious and some not-so obvious points for the positive side of your pro-con list. Making the final decision—well, that’s up to you. Once you have had fresh chicken eggs, you can’t go back! The taste is richer. The yolks are darker and stand up taller. Some people say their baked good are lighter and fluffier. Until you get some chickens and test out their eggs, you’ll never know for sure. Research has shown that eggs from free-range chickens are lower in cholesterol and higher in vitamins and minerals. Eggs from pastured hens have four to six times as much vitamin D as chickens raised in confinement (aka the chickens that lay conventional grocery store eggs). These healthy eggs also have seven times more beta-carotene, three times more vitamin E and two times more omega-3 fatty acids. Our visitor are always surprised that we don’t have many bugs. The mystery of the disappearing mosquitoes is no mystery to us: No doubt theses pests are on hiatus because the chickens are doing their job, eating them and their larvae. We also don’t have a problem with fleas. If you’re a gardener and want an organic way to keep pest populations down, the solution is simple: chickens. Bugs really don’t have a chance when they’re around. 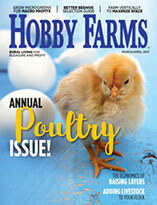 Large factory farms use a breed of hybrid chicken to achieve the best feed-to-egg production ratio possible. Unfortunately that means many breeds of heritage chickens could become extinct without the help of backyard chicken keepers like you, who choose to raise them. At a time when most food travels an average of 1,500 miles to get to our plates, it’s refreshing to be able to eat something that has only traveled a few yards. 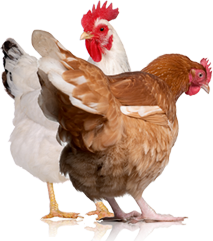 If your children want pets, but you aren’t crazy about the idea of a dog or cat or small rodent, chickens can do double-duty as pets. Chickens are intelligent, and when handled daily from the time they’re hatched, they’re friendly. They also eat less than a dog—an added bonus for your pocketbook. Most people have no idea where any of their food comes from. 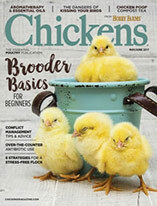 By having a few backyard hens, you will be taking a small step toward food independence and empowerment. Chicken manure is great for the garden. And if your chickens run around your yard, they’ll fertilize it, too. So long lawn-care service! As hens get older and their laying slows down, you can butcher them for stew meat, which is delicious and can’t be found in stores. Julia Child lamented the loss of stew hens from grocery stores in the 1980s as she reluctantly gave directions for making stock out of a young chicken in her book, The Way to Cook. Chickens are endlessly entertaining. You can’t watch them running around the yard for more than a few minutes without laughing or being surprised about something that they’re doing. I’ll never forget how excited my children were the day they saw a chicken catch a frog or the first time they saw a chicken lay an egg. Whenever your friends complain about any of the above issues (buying fertilizer for their garden, dealing with mosquitoes, eating unhealthy food, watching too much TV), you can say that really isn’t a problem for you because you have backyard chickens. Deborah Niemann has had a flock of around 50 layers and a few roosters since she and her family moved to the country in 2002. She is the author of Homegrown and Handmade (New Society Publishers, 2011) and Raising Goats Naturally (New Society Publishers, 2013).